Ancestors The Humankind Odyssey. the game in development by Panache Digital Games, led by Patrice Desilets, has been announced two years ago, but very little has been said about the game these past months. Today, the team released a brand new trailer and shared some new details on the game, which sounds more interesting than ever. The new Ancestors The Humankind Odyssey teaser has been shown at Reboot Develop 2017 and gives players a glimpse at the third person action adventure game which aims to let players relive the early story of mankind with a unique twist. 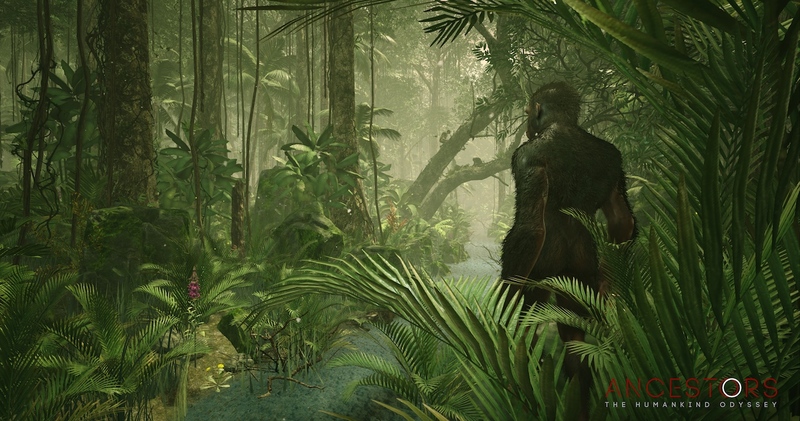 Ancestors: The Humankind Odyssey is a third person action-adventure survival game. Stay tuned much more to come in 2017! More details have also emerged online during the presentation. Apparently, the game has got too big for an episodic release, and it now features a big world, systems working together, survival and resource management elements and more. While the game is in a playable state, it won’t release anytime soon. Still, there is a set date in mind. Ancestors The Humankind Odyssey launches on a yet to be confirmed release date. We will keep you updated on the game as soon as more comes in on it, so stay tuned for all the latest news.